Are you looking for something a little different to what we offer on this site? 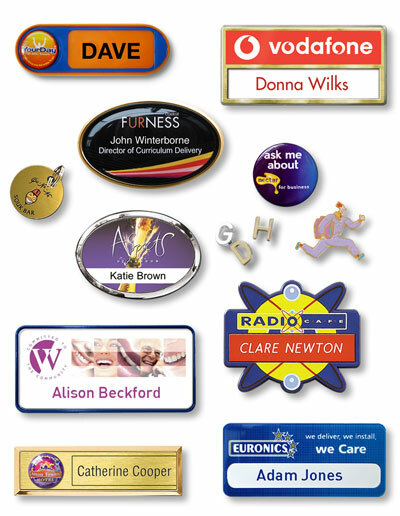 We'll provide a free design service too; a great help in realising your badge requirements. Remember we manufacture to quality assured standards (ISO9001) - right here in our UK factories. We can help you with any badging project imaginable, whether for a small shop or a large high street bank with 1000s of branches - just ask! freephone 0800 018 0369 or go to our contact us page and send us an message with your logo - we always here and happy to help. If you are unsure what type of badge that you need for your organisation, we have now developed a dedicated website to help you find a practical and functional badge for you that you really like the look of. Helping us to help you..